SEO means Search Engine Optimization. 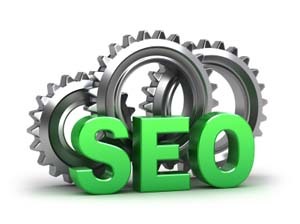 The goal of SEO is to make a page “rank” higher in the results page of a search engine. SEO efforts are usually jugged by “Page Rank” This is a score that Google assigns your web page, and it is an important determinate of where a website will show up in Google’s search results. When trying to get a better rank in Google, or other search engines, it is important to consider what searches you want to show up for. This is part of determining what keywords to use when optimizing your site. You want to select keywords that are highly relevant to your site, and the services you provide. You want to select keywords and then optimize the text on the website for these keywords. You want to use these keywords frequently across your site in relevant ways. But make sure to not cram too many keywords on one page, or search engines will penalize you. The number of keywords recommended is always changing, so you should look to see what people are saying a good number of keywords to use is when you go to edit your site. -Title Meta tag. This tag is used to tell web browsers and search engines what the title of the page is. It is important to have a title that is relevant to the site, and includes the keywords discussed above. -Keywords Meta Tag. This is a Meta tag that tells search engines the most relevant keywords on your web site. You should include all the keywords that you chose for your site in this tag. On the Internet, content is king. You should have a page with quality content. It is important that your site offers high quality, relevant, content to users. It is not quite known how Google judges the quality of content, but it does seem to prefer site that have large quantities of content over sites with little text, or irrelevant text. Make sure to not spam you users with a boatload of information they do not need, and Google will thank you for it. This is a key component to Google’s page rank algorithm, and thus a key component of any SEO effort. Google looks at the sites that link back to yours, and then judges how relevant the sites linking to yours are to the content on your website. Google uses this information to determine the “importance” of your page. Like with most things in SEO, quantity is not better than quality. Avoid submitting your website’s URL to huge link databases that promise better page rank. Sites like this are often frowned upon by Google, and can hurt your page rank rather than help it. Try to get people in your industry to link to your site. For example, if you sell pens, it would be helpful to have link to your site appear on a pen manufacture’s website. The social media frenzy is something that is sweeping the world faster than anyone could have imagined. In this day and age it is important to have your business on prominent social networks like facebook and twitter. When using social media as a business it is important to keep in mind that people who find your business on social media sites do not want a sales speech, they what to be your “friends”, they want to interact with your business in a social way. Try to use social media to generate a community around your business that your business participates in. People are more likely to use a company they feel a connection with, and this is a connection that social media can provide. Think of it like this, you are a small town hardware store, and you know most of your customers, people in your town are going to go to you when they need hardware items rather than the big nameless corporation. Having a large following on social networks can have a large positive effect on your page rank. On top of having a page with relevant content, it is important to have your web pages laid out in such a way that make Google recognize the content of your page, and assign that appropriate weight to each item when calculating what your page is about. Remember to use “h1” tags for the header of your page, and only use it once per page. Google sees the h1 tag as something that identifies what the whole page is about, so choose it wisely, and try to include your keywords in it. Another thing you can do to the content of your page is making the keywords bold. Google sees words in bold as being more important. Though these are just the basics of SEO, they are a good place to start when trying to improve your ranking in search results. It is important to keep in mind that Search Engine Optimization is an ongoing process. If you can not keep up with the job your self you should consider having your Web Developer do it for you. « Why are people abandoning shopping carts on my site?